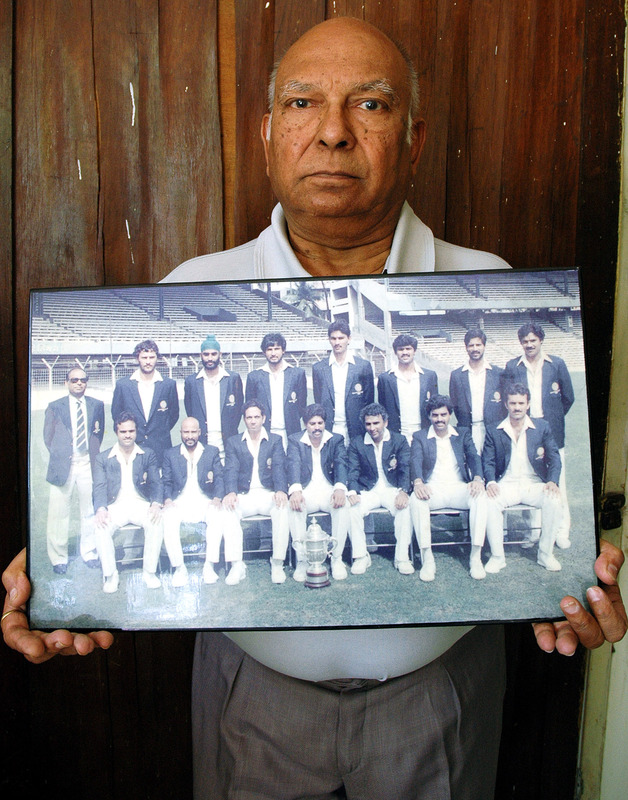 Members of that team recollect lesser-known stories of that incredible win at Lord’s in 1983. Perhaps the most incredible moment in Indian cricket history. Arguably one of the greatest underdog triumphs in cricket, and may be in fact, in sport. The day that inspired many youngsters to take up cricket as their career, including a certain Sachin Ramesh Tendulkar. 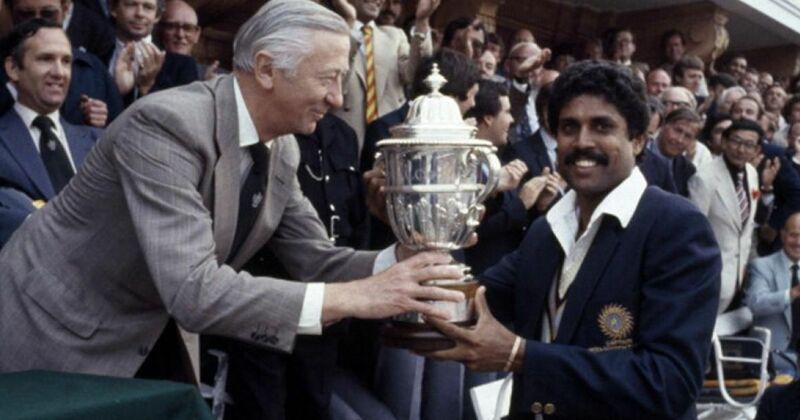 The 1983 World Cup for Kapil Dev’s India still reverberates in the hallowed halls of famous sporting moments. And it was high time that the story that changed everything for Indian cricket – and that’s not an exaggeration – was brought to life on screen as a feature film. 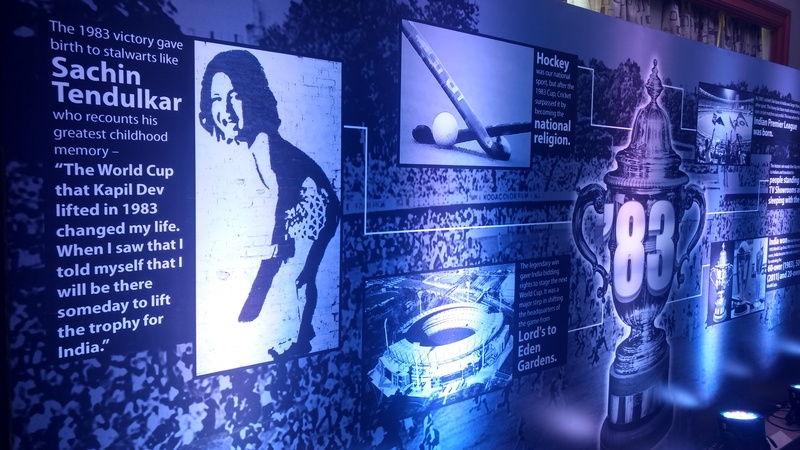 In a reunion in Mumbai to launch the film titled 1983, the members of that famous team took the opportunity to recount the memorable, lesser-known moments from that tournament. 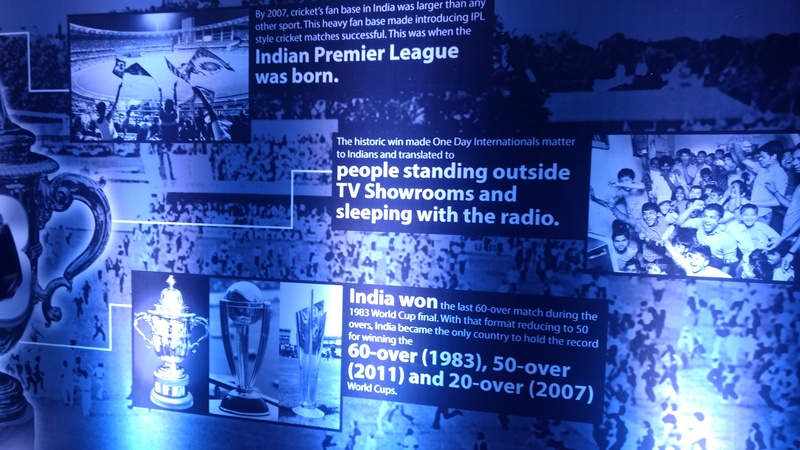 From Kapil Dev’s broken English during team meetings to the story behind the catch that won the tournament for India on that famous June afternoon at Lord’s in London, the ‘Kapil’s Devils’ took the audience on a trip down memory lane. Here’s a selection of the best anecdotes recounted by the members of that Indian team. Sit back, relax and enjoy the ride. I have my lovely wife Vidya here. We had just been married on March 30 in 1983. When I found I was in the team, the original plan was to go from Bombay to New York with a stopover at London for the World Cup. Most of us were planning a vacation to the States, just on the way were stopping by to play the World Cup. You have to understand one thing: In the two World Cups before this, we had beaten only one team – a team called East Africa, which was a bunch of Gujjus put together, nothing else. In 1979, we lost to Sri Lanka which was not even a qualified Test nation then. So 1983 started like a vacation for us. The first match was against the West Indies and we didn’t have any big team meetings with the coach. Old man Man Singh was our manager, coach, everything. Thought we’ll go for this meeting, have a few cigarettes and chalo, push off. Suddenly the captain comes and says, ‘If we can beat them once why not once more.’ And we were thinking, ‘Has he gone mad? He’s talking about beating that West Indies team? They had four fast bowlers who none of us want to remember in life. And this guy Kapil Dev comes and tells us we can win this game? But he was very serious. And then we thought, OK yaar, captain seems very serious. And let me tell you one thing. We won the World Cup because of one man. 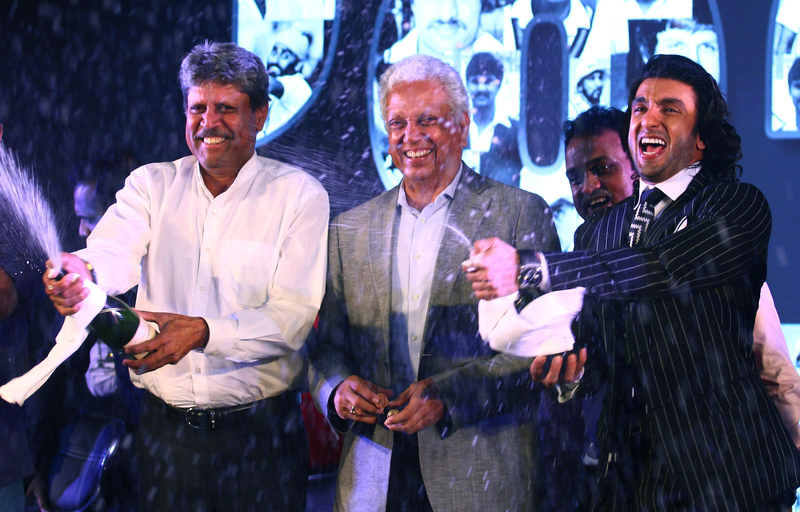 The man who had so much self-belief – Kapil Dev. Thanks to you, Kapsy. And by the way, my ticket to US got cancelled. We had to come back to India to meet [Prime Minister] Mrs [Indira] Gandhi, the president and all that. I had to rebook my tickets for extra Rs 10,000. That time it was a lot of money. Kapil has to reimburse that Rs 10,000 to me now with interest because he went and won it for us. Let me give you a little bit of background for ’75 and ’79. That time it was actually a vacation for us. We got to see the whole tournament, it was a paid holiday, we were young guys, we were not married. First thing in our mind was, England jaate hain, wahaan blondes hoti hain (Let’s go to England, there are blondes over there). But ’83 was different. There was belief in this team. In the semi-final against England, Yashpal and I were batting. Before lunch, we lost Sunny, we lost Srikkanth. So were taking it a bit slow, because I had told Yash, wicket nahi girni chahiye, doesn’t matter if we don’t score fast, there are overs left. He said, “Jim pa, theek hai.” When we went to dressing room for tea, it was dead silent. No one looked towards us, no one gave us tea, no one asked for water, and we were wondering what we had we done. We were just playing to a plan but the team was a little disheartened. But what if you got out? “No Jim pa, apne par bharosa hai.” [I believe in myself] And Yashpal won us the match that day. Very few people know about this: You know how the legends of the game have a knack to read it better than most? There was a warm-up match against Sri Lanka in Leicestershire and Sir Garfield Sobers was there. We had made 285, thanks to a partnership between Kapil and myself. Seeing us score that much on a green top, he said, “These guys might be underdogs, but watch out for them in the World Cup.” He knew. Once he walked out of the meeting, the senior players used to sit and wonder what just happened. We had to decode his instructions. From the first match of the World Cup till the final, Kapil kept talking to us like this. And we kept playing and winning. I came from an agriculture background, these guys come from a culture[d] background. I often used to say get someone from Oxford to speak English for me and I will just go play cricket. I didn’t know any English. And team meetings were like everyone waiting around expecting a catch and I gave them a lot of catches [regarding his slips in English]. But here’s the thing: we had such a great time as a team in 1983. There are so many stories that I sincerely hoped we’ll never have to share with the public. We have all been married for so many years and have to face the music now. We might have to make a sequel to 1983 that the [film] censor [board] won’t clear. There are so many stories that we were hoping never to share with anyone. Some part of me is still not sure about the stories coming out through this movie! We just had a great time. We knew in our hearts that we were not the most talented, but halfway through the tour we are a team. And I was not the captain alone anymore. Every one in the team became captains. And that’s how we won the tournament. I remember this instance from the semi-final. Jimmy and I bowling in tandem, I was keeping it tight from one end and Jimmy was doing his thing from the other. During that spell, I got the wicket of Ian Botham. The ball kept low – very low. And it turned as well. Ian Botham was bowled, all the players came running to me. Before the start of the first game in Manchester [against West Indies] we were playing trash, rubbish cricket. We played three warm-up games and we lost all of them. We lost to New Zealand, to Sri Lanka and even a team from minor counties. But when we went out to Manchester, something clicked. The attitude suddenly changed. Every one was throwing themselves around in the field and it got us going in the tournament. And then later, we went to Tunbridge Wells. Before we could even finish our coffees, we lost five wickets for 17 runs. I walked in next, I didn’t know what to think. You are nervous, your mind is clouded up. And Kapil met me halfway, and he says, “We have plenty of overs to go, let’s just take our time, play a few balls, take singles, no boundaries.” And then we took the score to 77 and I got out. True to his word, Kapil didn’t hit any boundaries till then. Then, Madan had a partnership [with Kapil] and then he got out. Kapil had still not taken off, just like he told me. Then, finally, Kirmani came along and they put on a 126-run partnership [for the ninth wicket] and 90% of the runs were scored by Kapil. That scorecard tells you how Kapil dominated that day. In the last few overs, we saw Kapil hit some of the biggest sixes we have ever seen in cricket. The ball was flying out of the stadium. Without that innings, our tournament was over. That knock made the World Cup for us. Kapil was getting under the ball and I knew Kapil being such a good fielder, he will catch it. But seeing Yashpal also running for it, I prayed that he doesn’t go collide with Kapil. And then you know what happened. That was the best moment of the World Cup. That win was not about one man or the players, it was about the entire nation’s prayers, otherwise there was no way we would have defended 183. He had immense self-belief and I could see he really wanted it. My heart was telling me, no, don’t listen to him. We only have 183 to defend. But I decided to go with his instinct and he got the wicket in that over. And the rest is history. I feel for the director and producer. You have to bring back Mehmoodji, Keshto Mukherjee, and Johnny Walker to just play one role. Put their souls in one actor and then maybe you’ll have someone who can play Srikkanth’s role. There’s something you need to know about our fielding abilities. 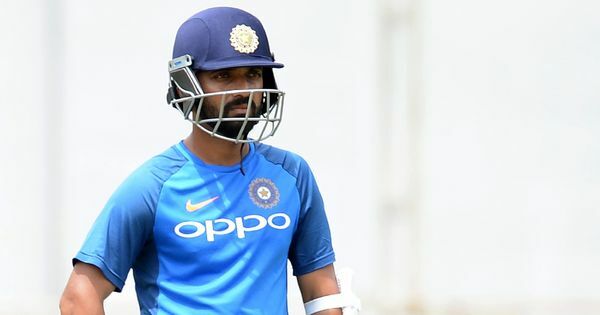 Whenever I came on to bowl, Kapil told me, in his broken English, “Ballu, we’ll keep a fielder there and there and there.” I replied, “Where?” Kapil has already set the field in his head, but I didn’t know where he wanted the fielders. He thought I was joking but I had no clue what he meant by “there, there and there”. There was one instance when Lloyd hit a straight drive and it was going up the slope at Lord’s. Sandeep did not even bother chasing, thinking it was a boundary. But the ball stopped uphill and rolled back and only then he started running. The World Cup gave us all a lot of happy memories, but there were sad ones for me. In the very first match, I got hit on my face multiple times by Malcolm Marshall and my jaw was fractured. 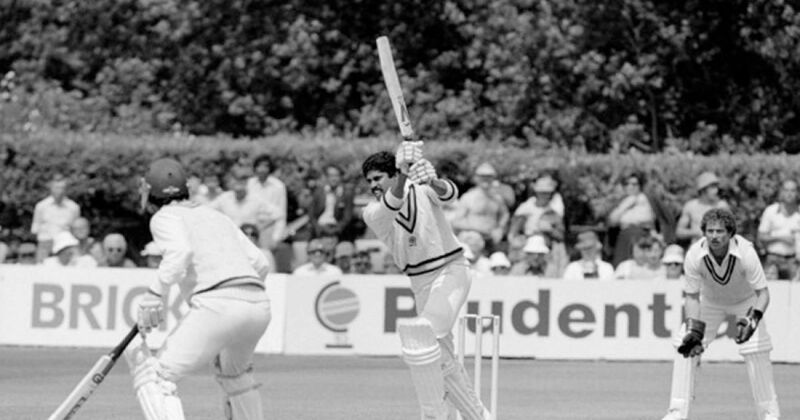 I was in London in a hospital with seven stitches and missed the greatest innings by one of the greatest cricketers the game has seen – Kapil’s 175. 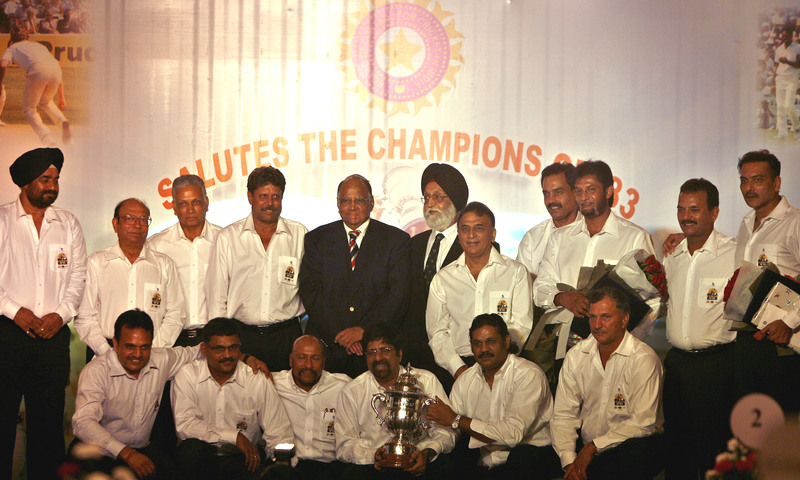 When we reached Bombay after the final, I was very keen for the team to have a group photograph with the trophy. I fixed a time, asked all of them to come properly dressed. After the photograph was taken, we dispersed into a dressing room where I briefed all of them about the programme that was laid out for the visit to Delhi to meet the President and Prime Minister. After I was done briefing, Kapil Dev tells me, “Man, please go out of the dressing room.” I was shocked, to be honest. After a month we spent together, after all the celebrations over the past 24 hours, he wanted me to step out? Anyway, I did. And a few minutes later, the door opened. Kapil called me back in and told me that the team has decided to share with me every gift that they received. That was a truly remarkable gesture. Thank you, kaptaan. If the launch event was anything to go by, the movie sure promises a lot. Do you prefer your favourite sports stories delivered straight to your inbox every weekday? We have got you covered. Subscribe to The Field’s newsletter.